Threnody based in Schiedam, Holland, was founded in 1988. 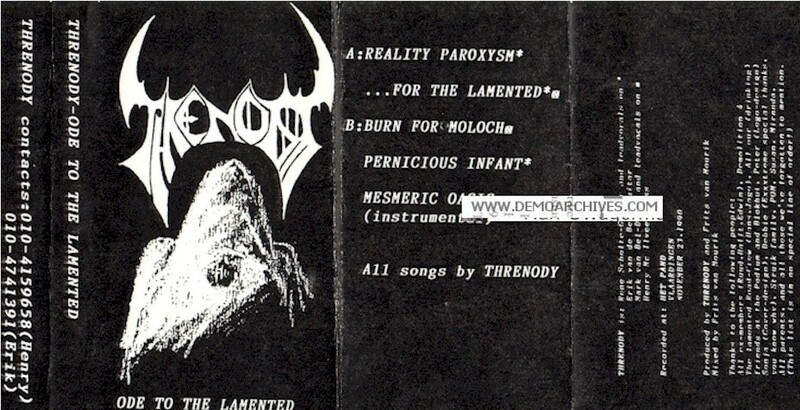 With two demos "Ode to the lamented" (1990) and "Profanation" (1992) the band established an excellent reputation in the underground scene. In 1993 Threnody signed a deal with Massacre Records and the debut album "As the heavens fall" was released. Xeroxed cover and clear tapes.